Studco Building Systems provided product and engineering design support to a new retail development in Melbourne. 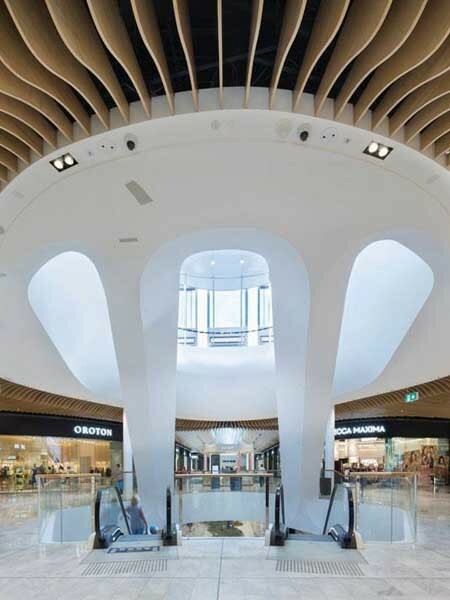 Eastland is one of Melbourne’s most progressive retail developments and is set to become an exciting urban shopping, entertainment and leisure destination for the city’s residents. Designed by The Buchan Group and Acme, the $665 million development in Ringwood, Victoria blends outstanding architecture with innovative design to create a superior new urban hub that will draw people from across Melbourne. The project will increase Eastland’s size by approximately 50% from 79,000 square metres to about 127,000 square metres. Studco collaborated closely with the builder, Probuild on this project with its extensive engineering design expertise servicing the 24-hour site demands. Atkar supplied various Studco products such as concealed ceiling systems, steel stud systems and the unique EZYJamb flush finish door jamb system.